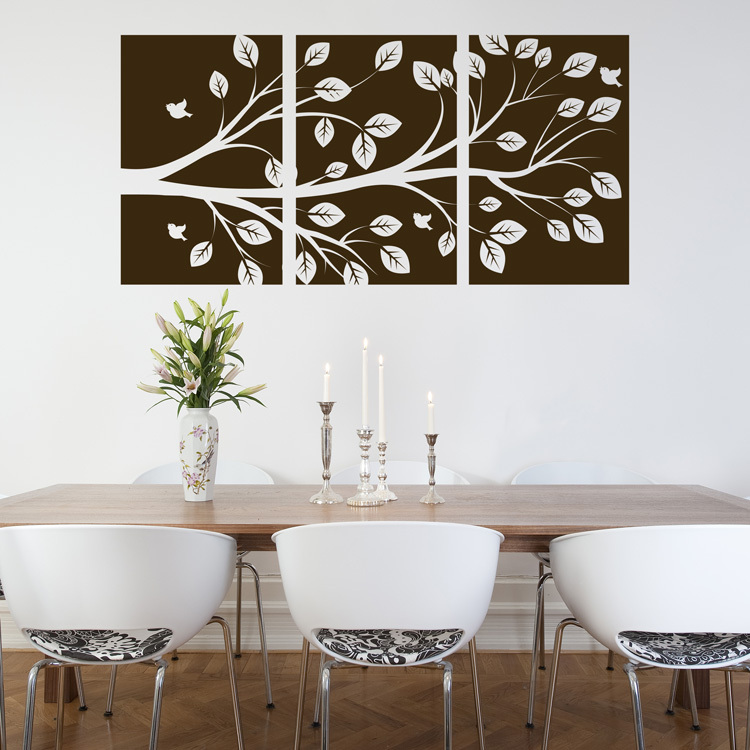 This beautiful triptych tree branch makes and incredible wall decal! 69 inches wide by 34 inches high, as shown. This 3 panel tree branch decal comes in three sections for easier application! This also allows you to space them how you choose. Practice decals are included with every order. I just received the musical note decals. They were easier to put up than the directions. I used them for my 10 year old grandson who has a guitar and I changed his room from Tony Hawk to a music/guitar room, this went great with the decor. I ordered one of my photos on a canvas print. I selected the wrong size and it would have completely changed the look of the shot. Instead of just printing it...they called me to let me know and offered to change it to be exactly what I wanted. When I got it in the mail...I was so thrilled with it! It is beautiful! I can't wait to put it on display at my next wedding show! Thank you Dali Decals! I know who to go to from now on!